[Note: This is the third in a series of posts looking at the Social Enterprise in the context of the Big Shift. The first two posts were: Thinking about the Big Shift and the Social Enterprise and On Collaboration. This one focuses on the concept of flow, and how that relates to the Social Enterprise and the Big Shift]. Enjoying work is not a crime. But sometimes it can feel that way. In some companies the visible manifestation of enjoyment — a smile, a laugh — is frowned upon. 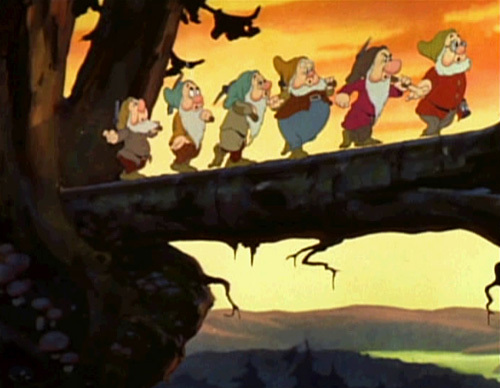 Heigh-ho-ing and singing on your way to work is considered not done. For the past thirty-odd years, I’ve been lucky enough to be at places where I’ve been allowed to enjoy my work. Initially I was content to luxuriate in my enjoyment, taking that state of affairs for granted. I’d read about work being drudgery but hadn’t really experienced: somewhere deep inside me, I reasoned it away as an attractive consequence of knowledge work, “tertiary-sector” as it were, a consequence that was harder to obtain in agricultural or industrial work. As I grew older I realised that hypothesis was false. Some people enjoyed work, and others didn’t. It didn’t seem to matter whether they worked in primary or secondary or tertiary sectors: I saw gardeners really enjoy what they did, and do it well; I saw car mechanics excel at their job while smiling and whistling; it didn’t seem to matter which company they worked for: some people enjoyed work, others patently didn’t. 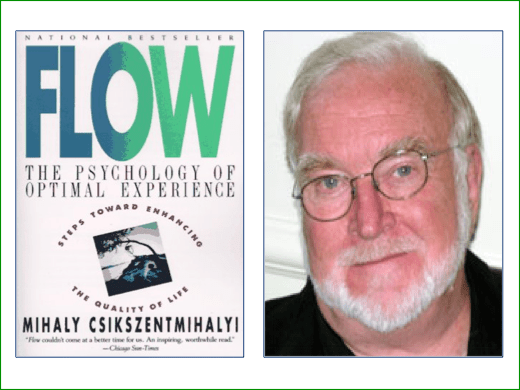 Then, in 1990, I came across Mihaly Csikszentmihalyi’s work on the subject, initially via his seminal book Flow, later by gently backtracking through the rest of his oeuvre while keeping pace with his newer publications. His assertion was that as you worked under these conditions, you were more likely to “lose yourself” in your work and thereby reach significantly higher performance levels. Now I’m really oversimplifying things here, please do read his book (and those that followed). You will find it immensely rewarding and worthwhile. A good place to start is this TED video. As I said before, that list didn’t surprise me. What surprised me was how rare it was to see those conditions met at work. Role and goal clarity could not be assumed. Skill levels were not that easy to measure; and even if they had been, attempts to do that measuring were rare. Matching of skills to task complexity was therefore not common either. Feedback loops were often short, infrequent and poorly executed: annual, perfunctory, subjective were the words that often came to mind. The people who enjoyed themselves at work were therefore the exceptions, and these exceptions came in many guises. Some actually worked in companies where the flow conditions were met; 0thers managed to create environments where they acquired those conditions despite their paucity; and yet others managed to achieve their state of flow without actually having those conditions present. There appeared to be nothing systematic, predictable or repeatable about all this; I began to feel immensely privileged at the regularity with which I worked in places where enjoying work was (a) possible (b) encouraged (c) prevalent. But I couldn’t let it go at that. More recently, as I thought about the Social Enterprise (particularly against the backdrop of the Big Shift), I started seeing something potentially quite exciting: that the principles of the Social Enterprise could actually be consistent with Csikszentmihalyi’s conditions for flow. Which sort of made sense, in some sort of corollary logic, circular as it may sound: The Social Enterprise is consistent with the Shift Index and the Big Shift; The Shift Index measures transformational performance improvement; Csikszentmihalyi’s Flow is about achieving optimal performance. Quod erat demonstrandum. In explaining the Big Shift, Hagel, Seely Brown and Davison spend time describing the changing environment caused by the introduction and evolution of digital infrastructure, augmented by public policy decisions on movement and migration. They describe a world where competition is more intense, where barriers to entry are lower, where the rate of change is high, where things are more interconnected and where there is greater uncertainty as a result. Those pressures in turn have their effect on every one of us as workers: faced with such uncertainty, complexity and speed, we try harder to find meaning in what we do, how we do it, why we do it. We try harder to find things to do that make us feel good just by doing them, where the rewards are intrinsic to the tasks performed. We look for ways to clarify our roles and goals, to understand how our actions fit into the larger context; we get attracted to tasks that make us achieve a sense of belonging, that allow us to participate actively; we push for active and frequent feedback loops, often from peers; task and resource allocation become more peer-to-peer (as opposed to hierarchical) and as a result, the skill/challenge tensions become creative and valuable. We start looking for the Social Enterprise. A place where people are networked together, where role clarity is enhanced via openness and transparency; where feedback loops are quick, meaningful and frequent; where the ability to match skill to task is an outcome of empowerment and reduced costs of discovery. We start looking for the Social Enterprise. A construct where collaboration happens as a result of connectedness and a sense of belonging; where trust is allowed to establish roots and to grow; where the pursuit of institutional innovation allows people to develop their potential and to exceed it. We start looking for the Social Enterprise. An environment where performance is lifted through the power of partnership and the collective, both within the firm as well as beyond the firm. An environment where respect is earned and given, openly, mutually. Cloud-cuckoo-land? Not really. Connected people, using common bases of understanding, empowered to act. That’s the basis of the Social Enterprise. Nohria and Lawrence, in Driven, speak of human beings having four drivers: the drive to acquire, the drive to bond, the drive to learn and the drive to defend. A Social Enterprise, properly implemented, provides an environment where these drivers can be met consistently and repeatably. With the resultant uplift in performance levels. So far I’ve been talking about flow, as in the state of optimal performance. Serendipitously, perhaps coincidentally, many of the ways we achieve the conditions of flow are by understanding what we mean by institutional flows, as opposed to institutional stocks. My next post will look at those flows in detail. What they are, how they come about, what happens in them and because of them. In the meantime, comments welcome as always. Excellent post, in an excellent series. Have you read Manuel Castells’ “The Reconstruction of Social Meaning in the Space of Flows” (found in the 1st edition of the City Reader as well as “The Informational City”)? He also has a great chapter in his “The Rise of the Network Society” called “The Space of Flows” where he states, “I propose the hypothesis that space organizes time in the network society”, which feeds in to the discussion of not only core work area and environments for optimal types of work – Steven Berlin Johnson’s “Where Good Ideas Come From” picks up on this with his density of people and the adjacent possible comes to life. The individual flow and that “in-the-zoneness” happening along with others in a space or environment (physical or digital given the right condtions) that in-the-zoneness is contagious and a whole team can pick up on it. In college I rowed crew and that all four or eight in the boat in perfect sync with each other, the coxswain, the boat, and the water is called swing as well as flying and provides this magical feeling of flying. But, getting that in a work place with not only one person in the zone, but a team all working in harmony to optimal levels to perform (and often out perform) is also purely magical. I’ve had it quite a few times in work environments and there is nothing greater for work. Being an outside consultant advisor those moments happen with customers at times, but then I go away to work on other things, but nearly all of the time the team I seeded with my work gets well beyond what they thought was possible. Flow and in-the-zone are great individual places, but they can also happen in teams and groups. could I add another to that list? There has to be some reward for your labour. I know there are lots of different jobs with different rates of pay. Its not just that though, some people work for no money. The reward can be just knowing you have made a difference in the world, made something better, easier for others. Just take the Queen for an example, a lifetime dedicated to her country. There were no bonuses for going the extra mile, she’s just done it. Whether you are a royalist or not you have to admire her. There are many famous people have done the same, Mother Teresa etc, but add to them the millions of carers, volunteers and such. There is a massive social enterprise already in action in the world, but they are largely unrecognised and if paid at all its only a pittance. Therefore I think that they have your four points but even if they had some of those missing the reward for what they do must be the thing that makes them do it, and enjoy it despite the problems. The reward isn’t monetary. Its their social conscience? Another thought I just had, (your posts do that to my head) is that say you were working in a fantastic team, with fantastic people, and sang all the day harvesting heroin, or in a factory making crack or something, and got lots and lots of money from the drug dealers, would you enjoy your work even if you had the full four points? Knowing you were causing untold misery to thousands of families? Wouldn’t your social conscience kick in? 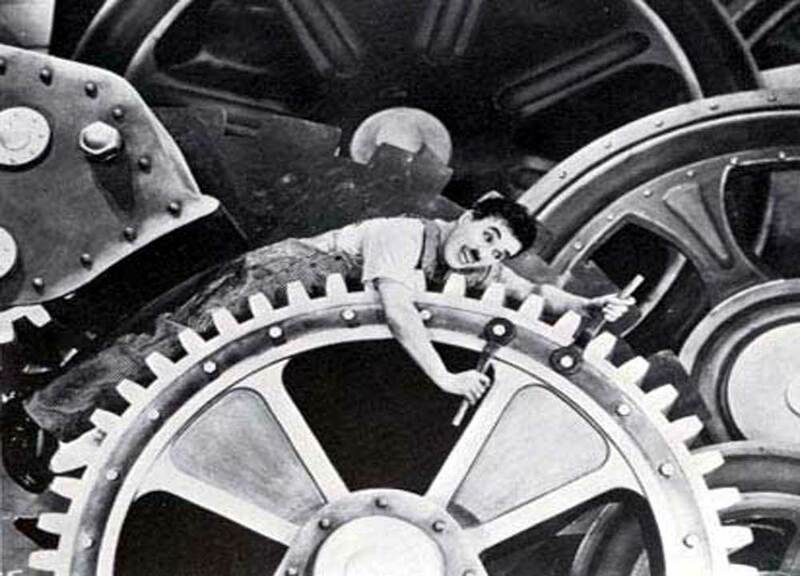 JP – Stimulating post as always and thanks again for the continued exploration of the connection between the social enterprise and the Big Shift. You are focusing here on a key point, and it is something that I have been spending an increasing amount of time exploring. I have a feeling that you are too modest in your aspiration for the social enterprise. Happiness, enjoyment and engagement are important, but in a world of mounting performance pressure, I worry that they are not enough. If we are to thrive in this kind of world, I’d suggest that we need to aim higher – we need to tap into passion and the excitement that it creates when we encounter new challenges. In fact, when we have passion, we don’t just wait for new challenges, we actively seek them out and get bored and frustrated if we can’t find them. In a recent blog post, http://bit.ly/KirHLV, I tried to make a distinction between engagement and passion, arguing that engagement is necessary but not sufficient. Even earlier, http://bit.ly/9EW5mq, I explored the distinction between Csíkszentmihályi’s concept of flow and passion. Like you, I am a huge fan of his work but, again, I would make the case that the flow he talks about is not sufficient. The exciting thing to me about the social enterprise is that it creates environments that catalyze and amplify questing and connecting dispositions, which I regard as foundations of passion. If we can unleash passion, we create the conditions for sustained extreme performance improvement at both a personal and institutional level. Why settle for happiness when we can have excitement? John, I’d read both your posts, and agree with the “necessary but not sufficient” view. I think part of the excitement for me is seeing that the Social Enterprise can help provide the passion and the energy needed; that’s why I spent so much time looking at your Big Shift work, realising that I had to understand more about the drivers for the Social Enterprise. Ken, couldn’t agree more. The shift to demand pull is very much part of the big shift/social enterprise mindset…. no wonder the book that followed was called The Power of Pull…. Joachim, thanks for the comment and the chart. Clive, wait for my next post….